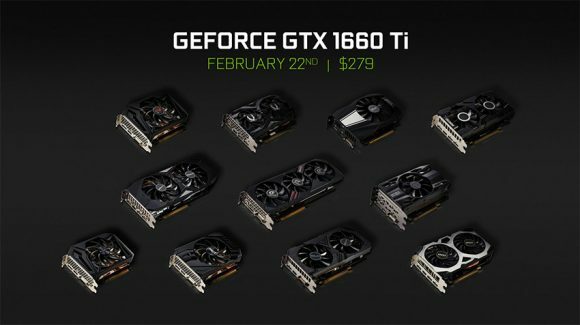 Nvidia has introduced a new mid-range GPU – the GeFotce GTX 1660 Ti that is intended for gamers looking for an affordable option for reviving their older gaming system’s performance. According to the company the new GPU is 3x faster than a GTX 960, 1.5x faster than a GTX 1060, and offers comparable performance to a GTX 1070. So if it is comparable in terms of performance to GTX 1070, then why release a new GPU? Well, the new GTX 1660 Ti is built on the latest Turing architecture (still not named RTX and 2xxx series, but GTX and 1xxx series), which debuted with the top GeForce RTX 2080 Ti GPUs. It also features the new GDDR6 video memory with a 192-bit wide memory bus at jus 120W of TDP. 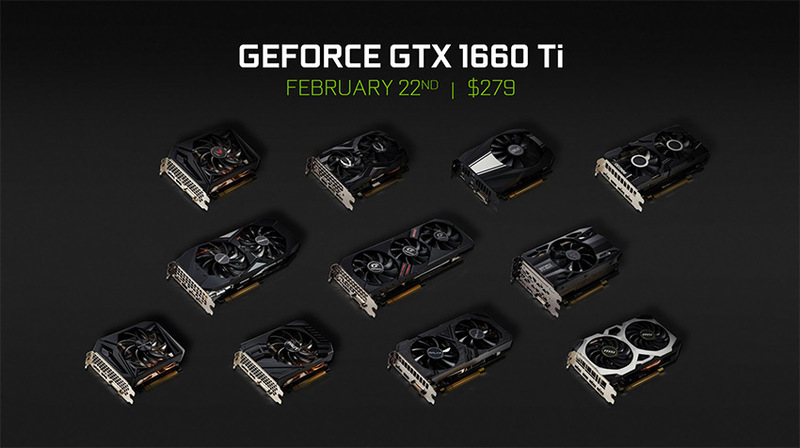 With the new GeForce GTX 1660 Ti you can get an up to date GPU that is more affordable than the GTX 1070 with recommended prices starting at $279 USD. Just bought one of these today – Getting great mining numbers for the price I paid!